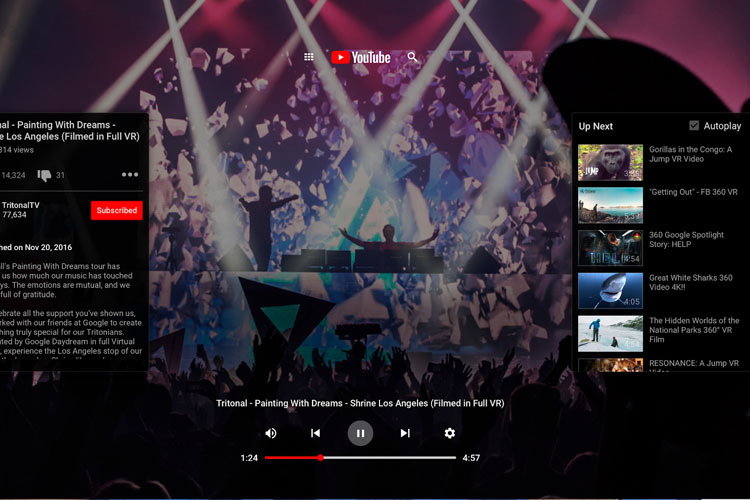 YouTube VR app, with its vast library of VR content, has arrived on Facebook’s $199 Oculus Go VR Headset. This means, you can now access a huge variety of VR content directly through the app instead of having to navigate to YouTube via the VR web browser. Well, I’ve been playing around with the YouTube VR app on the Oculus Go for a few hours now, and here’s what I thought about the app after using it this morning. First things first, I’d like to point out that the app works flawlessly on the Oculus Go. You can download the app from the Oculus store, sign-in, and get started right away. In order to sign-in, though, you’ll have to open the browser to generate a code. You can do on the built-in browser, but I’ll suggest you open the browser on a computer or a phone. Once you sign-in, the app will present you with a ton of recommended 360-degree videos. I personally found the selection to be fairly limited. Don’t get me wrong, you’ll find a ton of 360-degree videos in the YouTube VR app, but I found the recommendation to be very, you know, random. I’ve watched a lot of VR videos in the past, but the recommendations were not tailored according to my viewing history. I found this to be weird considering the fact that YouTube’s algorithm has always been pretty good with its recommendations. I fired up a random VR video and decided to check out the aerial view of Lisbon from a hot air balloon. Given the limited bandwidth on my internet connection, the video started in low-resolution. However, I forced myself to sit through the buffering and I was impressed with the quality when it switched to high-resolution. It’s definitely worth getting a high-speed Wi-Fi connection if you plan to watch a lot of VR videos. And there is certainly a huge selection of VR videos on YouTube and more will be coming as VR goes mainstream. I wish I could share some screenshots of the app’s interface, but Oculus Go didn’t let me take a screenshot, even though this functionality works in other apps. Besides that, VR is something that you’ll have to experience yourself. Next up, I was curious to see how a normal video would play on the app. Any video, other than a 360-degree, will open up in a VR theater. The videos will play on a big screen in front of you, with the rest of the area being blacked out. I see a lot of people resorting to this particular format for watching videos as it is a much more immersive experience. YouTube VR app also has another interesting feature called “Watch Together” which will allow you to watch videos with a group of people. You can invite your headset-wearing friends and watch the videos together as if you were sitting in the same room. Overall, I’d say that my experience with the YouTube VR app was pretty good. 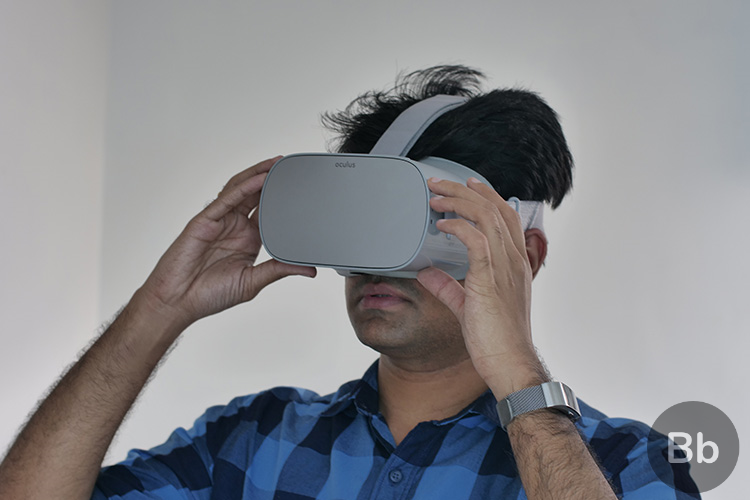 A lot of that credit goes to the Oculus Go for offering a crisp vision with hardly any blur. I see myself coming back to this YouTube VR app on the Oculus Go to sit back and enjoy some videos in the theater mode. So, be sure to recommend some of your favorite videos to watch in 360 on YouTube. I’d love to check them out.